i saw carlos boozer shopping at the smith’s in the avenues. he shopped alone (no entourage?) covering most of his face with the hood of his sweatshirt. to hide his identity, but it’s difficult if not impossible for an african-american who is nearly seven feet tall to blend in at the smith’s in the avenues. (maybe if he wore a patagonia jacket–wait, that would only work at wild oats.) he gave me a brief head-nod followed by a “hey,” probably because i was staring. realizing that i’d never have another chance at this, i talked to him. “do you think you could get him to sign this for me?” i pulled my copy of Prince’s self-titled record out of my shopping cart. (1) my friend andy did see a jazz player at the same smith’s. the jazz player was memo okur, but he did have his hood pulled over his head. and okur did say hey to him. (2) carlos boozer really does know prince. prince recently stayed at one of boozer’s homes. 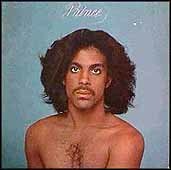 (3) gavin really does have the self-titled prince lp. that’s his ill-fated moniker tatooed on his chest right?